Getting a great shave without a bunch of razor burn is kind of difficult for some people, especially those who use a low-quality shaver. Moreover, cutting a straight line is nearly impossible with a device that malfunctions. At the same time, it is hard to find the best electric shaver on the market when there are so many options out there. With many sources fraudulently fluffing their information to persuade readers in a certain direction, it’s no wonder why so many people have nowhere to turn when trying to locate the best shaver on the shelves. In addition, many of the electric shavers and shapers available today are s somewhat similar, giving the shopper even more confusion when looking around. It certainly helps to have an honest and descriptive review once in a while, without having to sift through the bad grammar and biased opinions of the casual reviewer. A lot of times, those stories are about isolated incidents which have more to do with the user and less to do with the product. As such, you have come to the right place if you are looking for a real review on the Wahl 5-Star Shaver. You have probably heard people talking about it already. That’s most likely because of the fact that Wahl is a well-known brand that many people have trusted for quite some time. On the other hand, it might be because the Wahl 5-Star Shaver is such a cut above the rest. 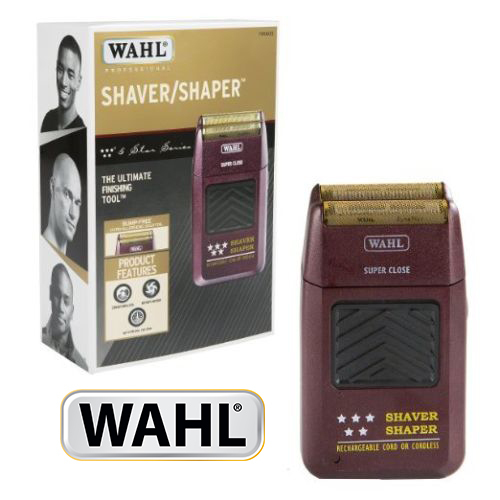 What is the Wahl Professional 8061 5-Star Series Shaver Shaper? We would like to showcase the Wahl Professional 8061 5-Star Shaver because we think it is worth talking about. First things first, this particular shaver is quickly gaining popularity among those with sensitive skin. Promising minimal razor burn while providing an extremely close shave, it is obvious why the manufacturers of this shaver gave it a 5-star rating before they ever introduced it to the market. In order to truly appreciate all that an electric shaver has to offer, you first need to know how to shave with one. Your experience with anything will depend heavily on your ability to follow directions. Because of this, an objective review by an expert is necessary. Some reviewers will only tell you about the good things while omitting the bad. Here, however, you will get the full picture so you can make the most educated shopping choices. This shaver is actually pretty impressive, considering the fact that, for the most part, many shavers are a lot alike. The thing that sets this shaver apart from the rest is its unique ability to glide over the skin of the user without snagging or pulling on the hair follicles. As a person who shaves regularly, a reduction in razor burn is always good news. Moreover, the Wahl Professional 8061 5-Star Shaver is quite durable, with a strong casing that is suitable for those who need to travel with their equipment. Designed with the professional in mind, it comes standard with numerous attachments which are used to customize the cutting experience. It is made to shave the face, beard, neck, and head, but it has a long and slender edger feature which provides a smooth fade without the lingering distress to the skin. Perfect for shaping sideburns, mustaches, and beards, the Wahl 8061 5-Star Series Shaver Shaper works on all types of hair: fine, thick, coarse, and so on. Nimble and quick when cutting, the Wahl Professional 8061 5-Star Shaver seems to be swiftly replacing the competition. While, like most electric shavers, it is not ideal for shaving or shaping longer hair, it does work wonders on that 3-day stubble and/or 5 o’clock shadow. It’s easy to see why this machine is gaining popularity: the pros of the Wahl 5-Star Shaver vastly outnumber the cons. Let’s take a look at some of those now. The unit is surprisingly lightweight for the amount of power it puts out. In fact, it only weighs one-half pound, which makes it easy to maneuver it around ears and necklines. It allows for a cordless or cord-free operation, giving the user more options. The battery is fully rechargeable, with a lifespan that is kind of impressive for such a small cell. It features a specially designed hypoallergenic foil coating on the top of the blades to help reduce the amount of friction and irritation while cutting. The ergonomic design of the unit allows for a superior shave, whether the user is doing routine maintenance or trying to accomplish precision. 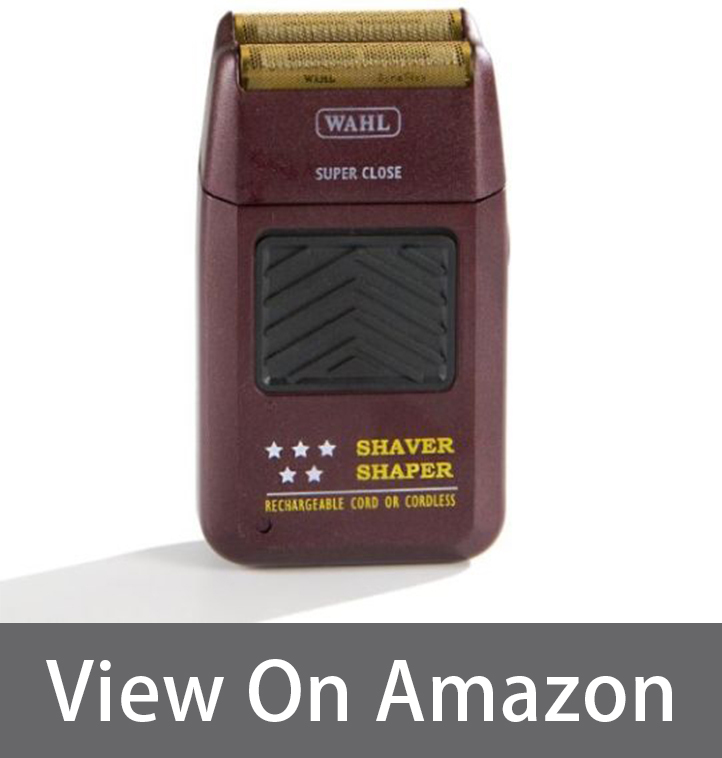 For those in the know, the Wahl Professional 8061 5-Star Series Rechargeable Shaver Shaper has everything that an expert would want out of a machine that is intended for high mileage. It is somewhat more expensive than other models with similar capabilities, although it only costs about $50, which is still pretty affordable. Its battery life, albeit impressive, could still use some improvements (especially for professionals who use it all day). The cord is not very long, so it is better when used cordlessly if possible. 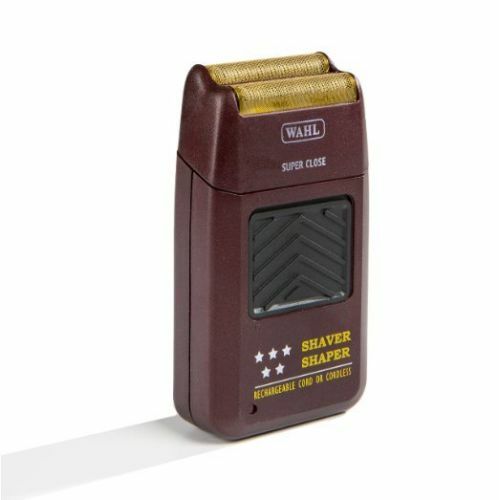 By the looks of it, the Wahl Professional 8061 5-Star Series Rechargeable Shaver Shaper is from an earlier decade when shaving was less of an art form and more of a mundane routine. However, we urge users not to judge a book by its cover on this one. Despite the fact that the Wahl 5-Star Shaver is designed with a vintage aesthetic, it is still one of the most high-tech devices on the market today. Unlike most, the Wahl Professional 8061 5-Star Shaver Review includes tips and tricks to help users get the most out of their educated purchase. For example, we found that if we shaved while the hair or skin was wet that we had a much better experience. There was less irritation as well, but only when we washed the area with a good soap before we started. You might want to do so yourself, but remember not to follow up with moisturizer until after you’re done. Additionally, some men might want to shave twice – just to get rid of any stray hairs that get left behind. While the Wahl Professional 8061 5-Star Series Shaver Shaper is superior to most, it is still not able to get 100% of the hairs in one pass most of the time. Try going against the grain on the first round and then with the grain on the second, but never rub with it or you will be sorry. Keep in mind that as the user, the accuracy of the shave is ultimately up to you and how you use the device. 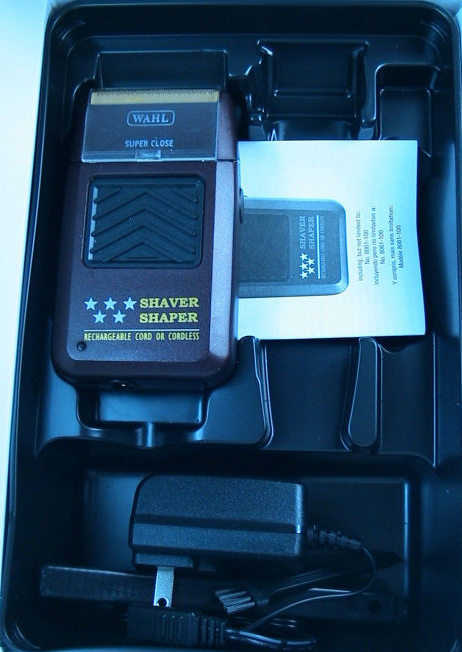 Opening the box of the Wahl Professional 5-Star Shaver you will notice a charger included. Many users like to keep their device plugged in until they’re ready, at which time they then use it without the cord. The choice is up to you. You will also notice that this machine comes with a limited one-year warranty as well. You’ll have to contact the manufacturer for more information about what the warranty covers. When compared to other similar products, the Wahl Professional 8061 5-Star Series Shaver Shaper provided a superior shave and shape every time when used correctly. The results were faster and more accurate as well, at least when compared to the other products like it on the market. Cutting and shaping caused minimal irritation, especially when the user refrained from rubbing with it while shaving difficult areas. The foil on the head of the device may have to be replaced after a while, but it usually outlasts the manufacturer’s warranty. 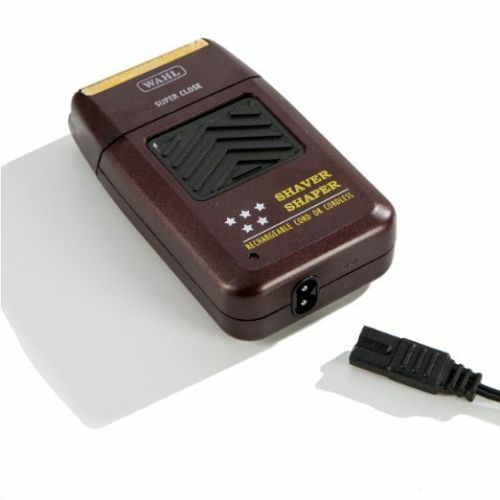 Luckily, the replacement parts come in at less than $20, which makes the Wahl Professional 8061 5-Star Series Shaver Shaper exceptionally affordable to maintain for casual users as well as professionals. Any defective parts are replaced at no charge by the maker, and Wahl Customer Service was friendly and helpful when we called for more information on the product and warranty. How long to get a full charge?